This is the name given to the white tuna (Thunnus alalunga) that is caught in the Cantabrian sea. 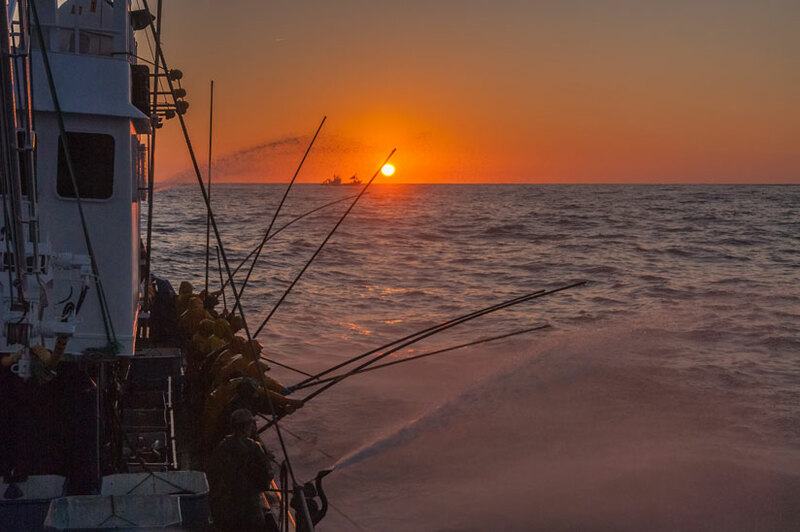 Part of the tuna family, albacore tuna is one of the highest quality varieties and is characterised by its delicious flavour and a finer texture than other varieties. 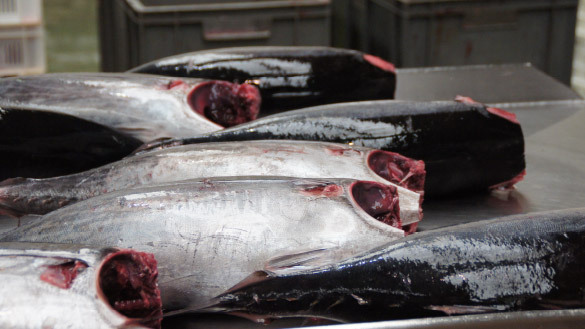 The tuna is caught from June to October, when the fish is in the perfect condition for being caught and consumed. 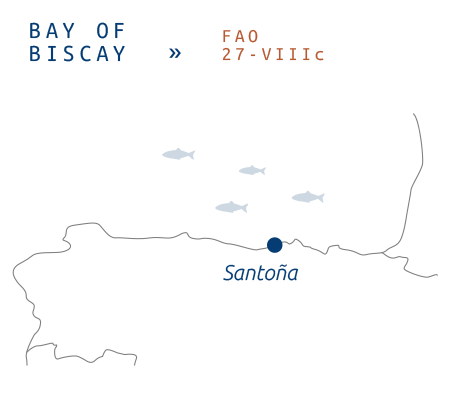 Albacore tuna is caught mostly in the Cantabrian Sea. 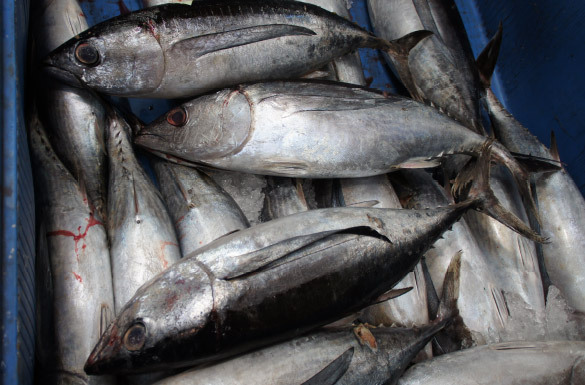 This tuna species is fished using live bait. It’s a traditional art form that uses a rod and hook, meaning that each fish is caught one by one, which allows only the finest specimens to be selected. 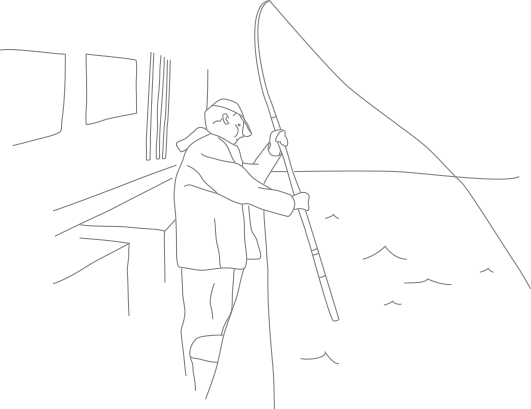 This technique does not entail bycatch and does not harm the ocean floor. The fish is selected very early in the morning in the Santoña fish market. This way, it reaches our factory in the best conditions just a few hours after it is caught. 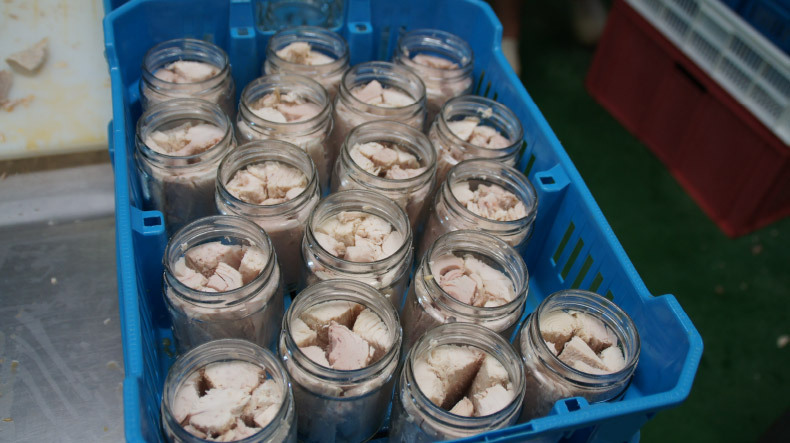 The fact that albacore tuna is prepared fresh gives the product an exceptional texture and white colour. The albacore is classified by size, gutted and after hand cleaning, it is prepared for cooking. Several hours of cooking give it the perfect texture. After cooking, it is allowed to cool at ambient temperature and the fillets are cut into pieces to select the whitest parts of the tuna. 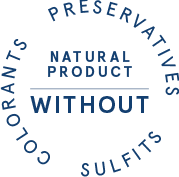 To preserve the product, the albacore loins are covered in olive oil in the various packaging formats we offer. All of these exhaustive processes yield a product that maintains the intrinsic properties of this delicious fish with its supple, tender meat. In addition to albacore in olive oil, we also process the most prized part of this tuna species, the belly. This part of the fish is highly prized due to its great flavour and supple texture, which results from the gelatin contained in its meat. It’s one of the star products in our wide variety. In addition to this product, we also offer albacore tuna in Catalan sauce. The key ingredient in this sauce, made using a traditional family recipe, is paprika, which, combined with the smooth flavour of the albacore, produces an intense but harmonious contrast in flavours.